Massimo Banzi is the co-founder of the Arduino opens source project, the most widespread in the world. He has been indicated by The Economist as one of the advocates of the “new industrial revolution” put in place by the Maker movement. Banzi also played a key role in the launch of the first fablab in Italy, and therefore the opening of Officine Arduino, a fablab-makerspace located in Turin. He is an Interaction Designer, Educator and Open Source Hardware advocate. He has worked as a consultant for clients such as: Prada, Artemide, Persol, Whirlpool, V&A Museum and Adidas. Massimo started the first FabLab in Italy which led to the creation of Officine Arduino, a FabLab/Makerspace based in Torino. 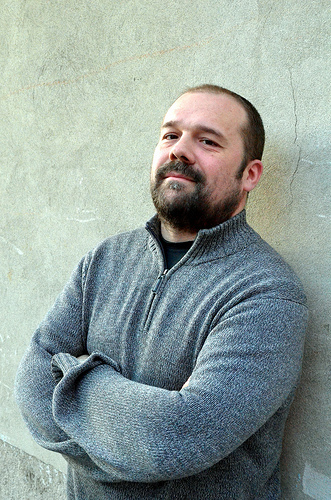 He spent 4 years at the Interaction Design Institue Ivrea as Associate Professor. Massimo has taught workshops and has been a guest speaker at institutions allover the world. Before joining IDII he was CTO for the Seat Ventures incubator. He spent many years working as a software architect,both in Milan and London, on projects for clients like Italia Online, Sapient, Labour Party, BT, MCI WorldCom, SmithKlineBeecham, Storagetek, BSkyB and boo.com. Massimo is also the author of “Getting Started with Arduino” published by O’Reilly.